For years Gidleigh Park in Chagford, Devon, was the home of chef Michael Caines, who ran the kitchens from 1994 up to and including 2015. The restaurant has held two Michelin stars since 1999, making it one of the longest running two-star restaurants in the UK. At the end of 2015 it was announced that Michael Caines would be leaving the restaurant after 21 years, to pursue a new business adventure elsewhere in Devon. 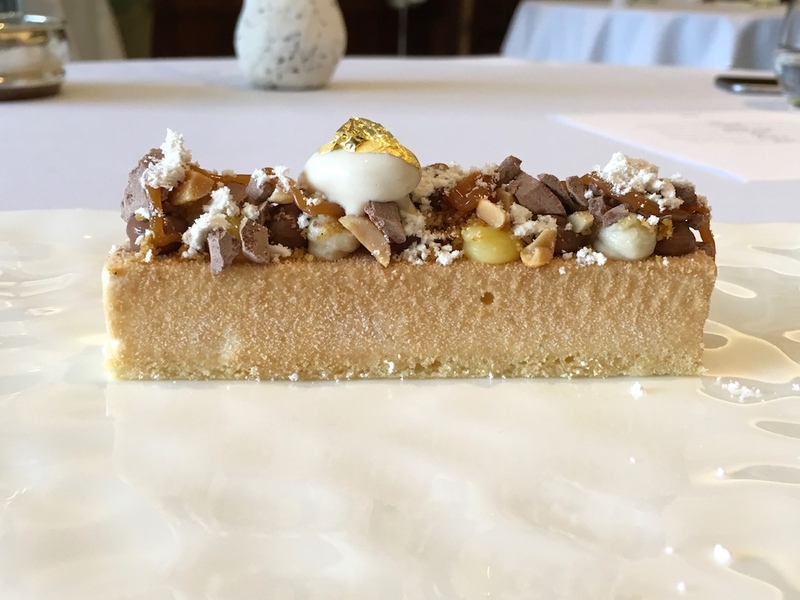 Shortly after, established chef Michael Wignall of the eponymous two-star restaurant at Pennyhil Park Hotel in Bagshot, was announced as his successor. ​Apart from the two-star accolade at Penny Hill Park, Michael Wignall has an illustrious CV, earning his first Michelin star in the early 90s as head chef at Old Beams restaurant in Waterhouses, later on running the kitchens of Michelin starred Waldo's at the iconic Cliveden Hotel in Taplow and Michaels Nook Country House in Grasmere (Lake District). 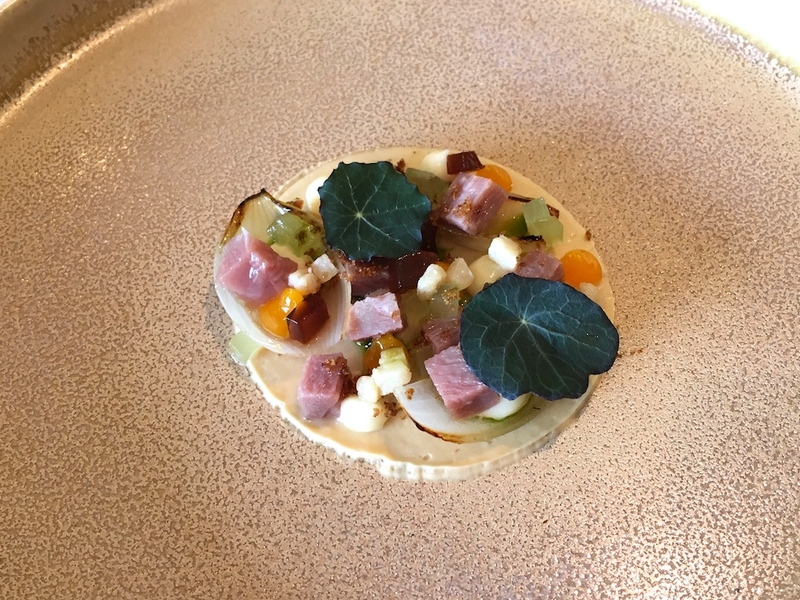 In 2002 Wignall became head chef of The Burlington Restaurant at the Devonshire Arms Country House hotel in Bolton Abbey, securing a Michelin star for the restaurant the next year. Gidleigh Park is open daily for lunch and dinner. 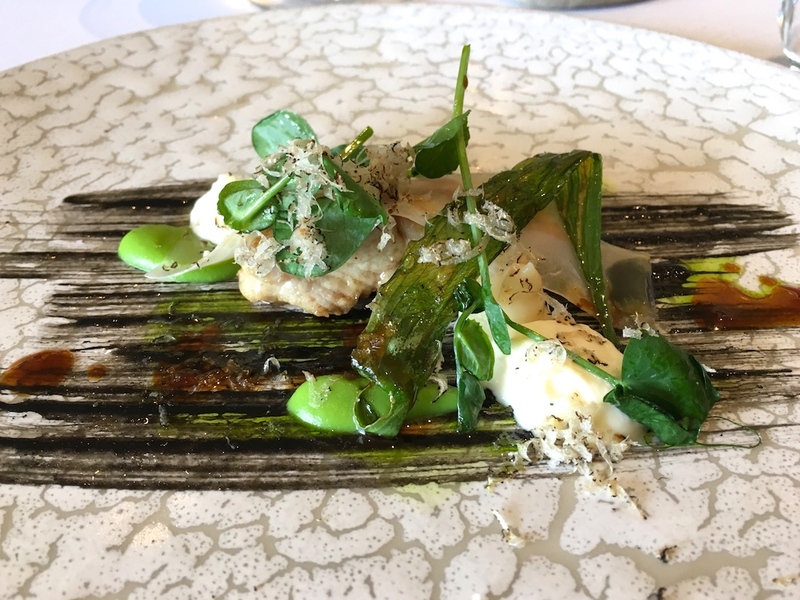 At lunchtime you can choose between the a la carte menu priced at £60 for 3 courses and a 7-course tasting menu, including a vegetarian option, for £75. At dinner 3 courses from the a la carte menu are priced at £125, and there's a 10-course tasting menu priced at £145. 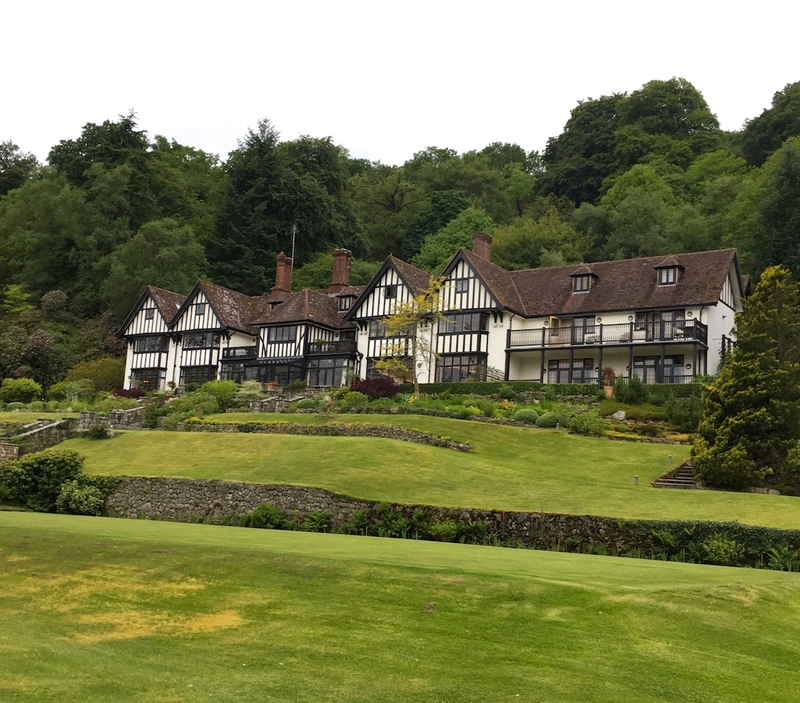 I had lunch with my husband at Gidleigh Park in June 2017 and we both ordered the 7-course tasting menu. Lunch started with two appetisers, served simultaneously. A sweet and mildly spicy green curry emulsion was paired with some fresh white crab meat and brown crab meat jelly, and there was a crisp cracker topped with a delicious mixture of tarama salata, brown shrimps and flying fish roe, the latter delivering a nice subtle crunch. The first course of the tasting menu was "Crab - Salcombe crab, Brixham cuttlefish, Hamachi, yoghurt and dill, cucumber juice", which turned out to be a busy plate with tiny amounts of hamachi tartare and fresh white crab meat, a beautiful looking but small piece of charred cuttlefish, soft diced potato, trout roe, dots of dill emulsion and brown crab meat mayo, dill-yoghurt spheres, a sheet of squid ink jelly, and of course the cucumber juice. Fresh flavours, which surprisingly all worked together, but some of the elements on the plate lacked definition. My main disappointment with this dish however, was the bird-sized, stingy amount of crab (effectively 1 teaspoon). Second course was a piece of succulent veal sweetbread, served with wild and fermented garlic puree, pea puree, creamy smoked ricotta, and pea shoots. A lovely, rich and elegant, dish with concentrated flavours, the ricotta adding a lovely lightness to the dish. The sweetbread could have done with a bit colouring though. The next dish was described on the menu as "Pastrami", which turned out to be an interesting but not completely convincing dish comprised of a thin layer of Marmite flavoured butter, decorated with cubes of duck pastrami, dots of confit egg yolk, cubes of Bovril-flavoured jelly, grilled onion petals, nasturtium leaves, and little cubes of pickled cucumber. Predominantly salty and umami flavours, lacking the refinement you hope to find at this level. Not to mention the small portion (I counted 9 little cubes of duck pastrami). On to the fourth course, which was seductively described on the menu as "Cassoulet of Shell" - the thought of a "Cassoulet" always makes my mouth water. 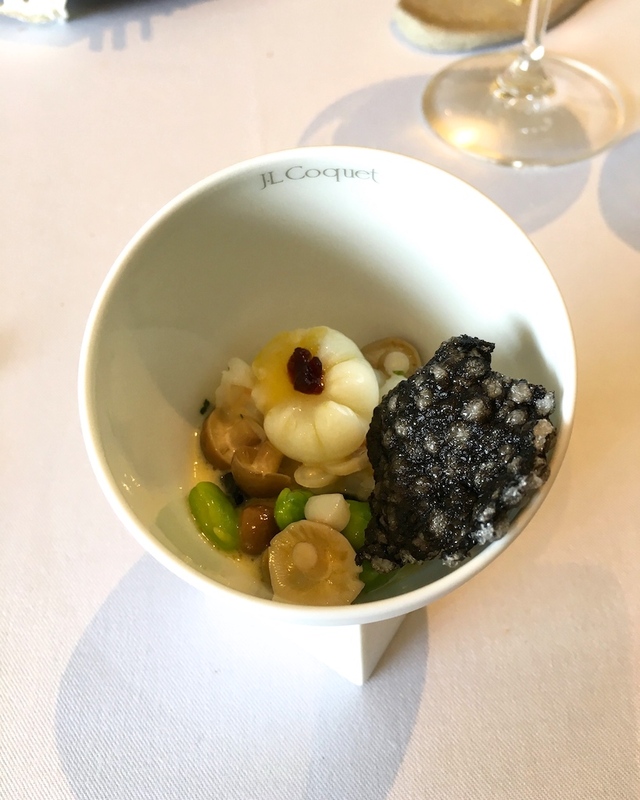 But back to reality, where I was served a small bowl with a tiny cassoulet of lobster, edamame beans, doll house-size cuttlefish ink gnocchi, a poached quail's egg, baby (what else?) mushrooms, and a squid ink tapioca cracker. Flavourwise a lovely dish, but it was gone in two spoonfuls and I had to eat very carefully to distinguish the individual ingredients eg their may have been razor clam in there, but I'm not completely sure. The last course before dessert was a piece of tender, but quite fatty, suckling pig, served with cider gel, cheddar cheese crème, golden enoki mushrooms, pumpkin granola, and sorrel. A nice dish, but let down by the flabby skin of the pig, and the flavours didn't really come together. There were two desserts today. 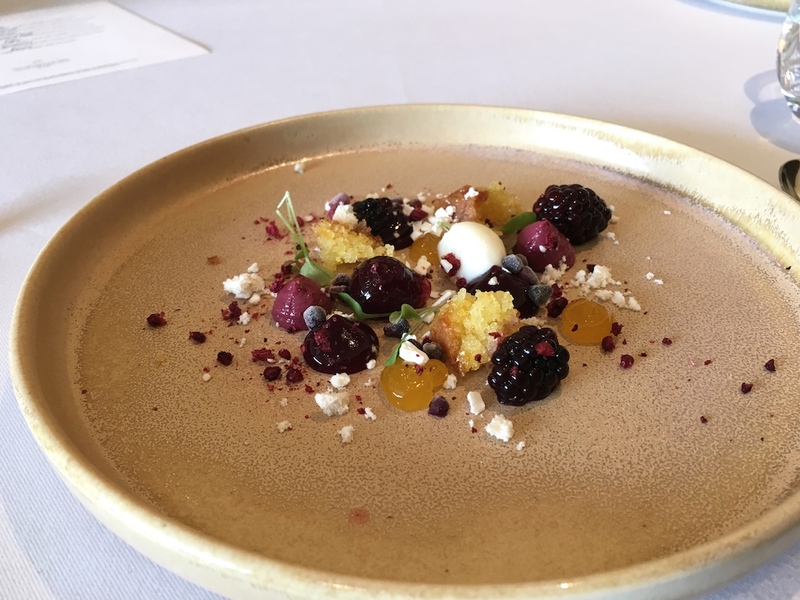 First up was a dessert with various preparations and textures of blackberry, including confit blackberries, little pieces of nitro (frozen) blackberry, blackberry jam, and liquid blackberry spheres, served with yoghurt sorbet, crumbled yoghurt crisps, and olive oil cake. A lovely dessert with intense and tangy blackberry flavours. This was followed by banana parfait with a thin cake base, and nicely garnished with chopped peanuts, caramel, peanut ice cream, kaffir lime crème, and little chunks of dark chocolate. 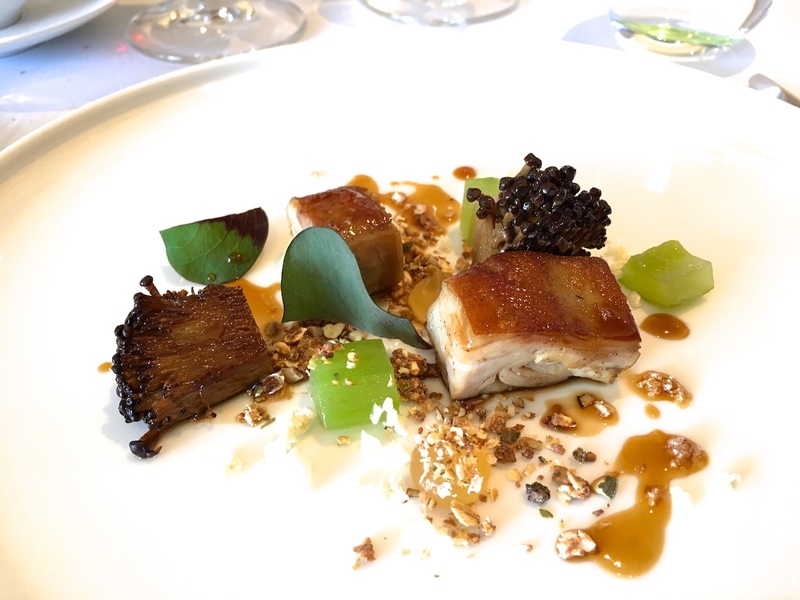 A well-executed dish with delightful flavours and textures, the roasted earthiness of the peanuts matching the creamy banana parfait wonderfully. The lunch tasting menu at Gidleigh Park was a real disappointment. OK, flavourwise the sweetbread course and the desserts were lovely, but altogether the quality of the dishes was inconsistent. 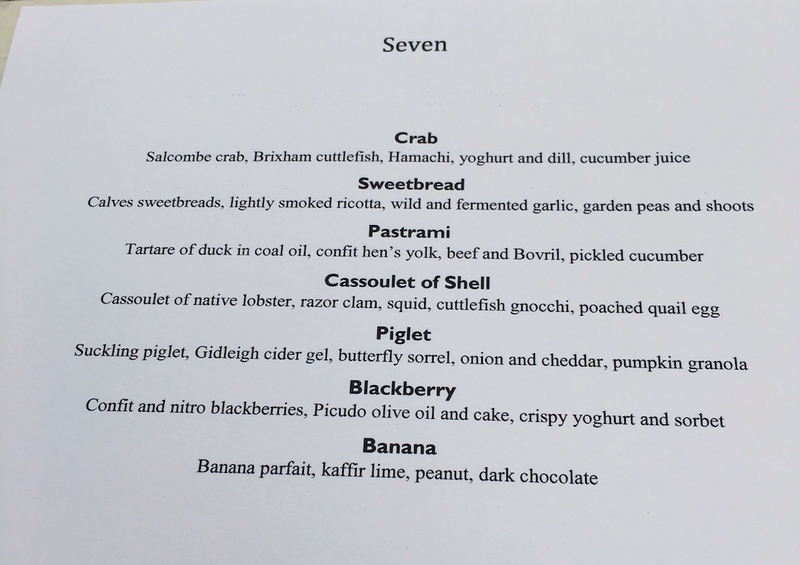 My other issue with this tasting menu, however, were the annoyingly small portions and, with the exception of the suckling pig, micro amounts of main ingredients. No taking the eye off these tweezered plates: next thing you know you've eaten all the crab and lobster. The only two courses that could be passed off as proper dishes were the two desserts. 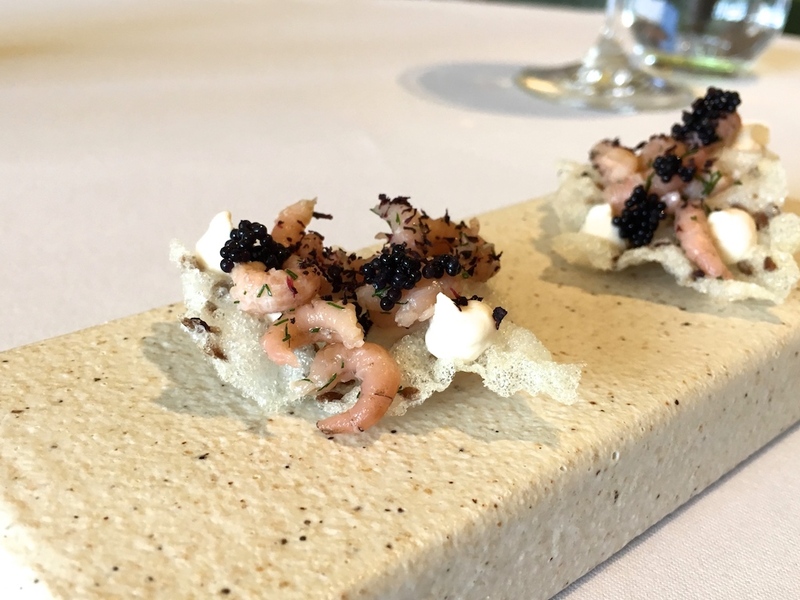 I'm puzzled as to why a chef would want to serve a tasting menu like this. 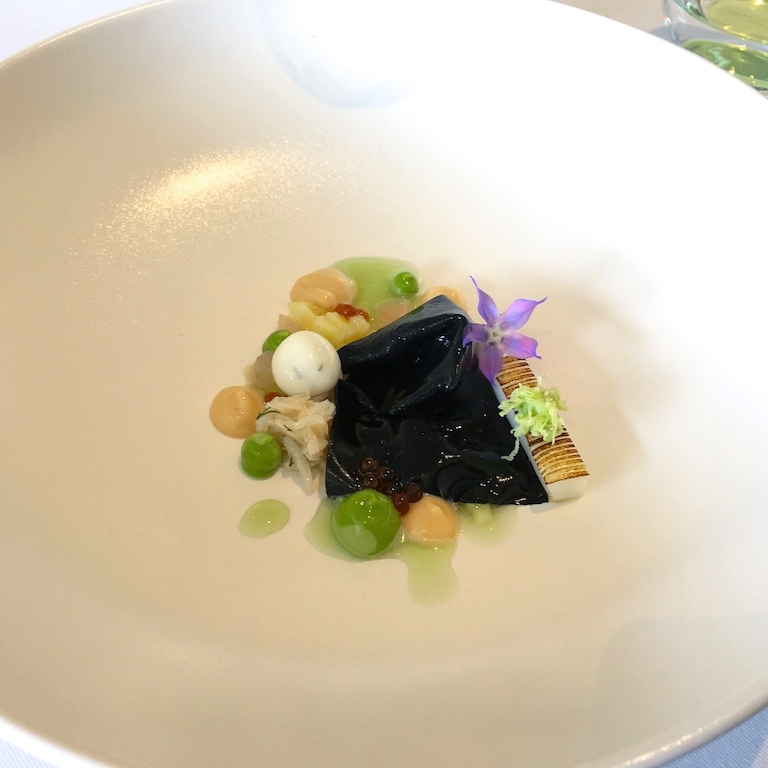 The price tag of £75 sounded very reasonable for a tasting menu at a two-star restaurant, but in the end it didn't feel like good value for money at all. Service was excellent, but overall this was literally an un(ful)filling experience.